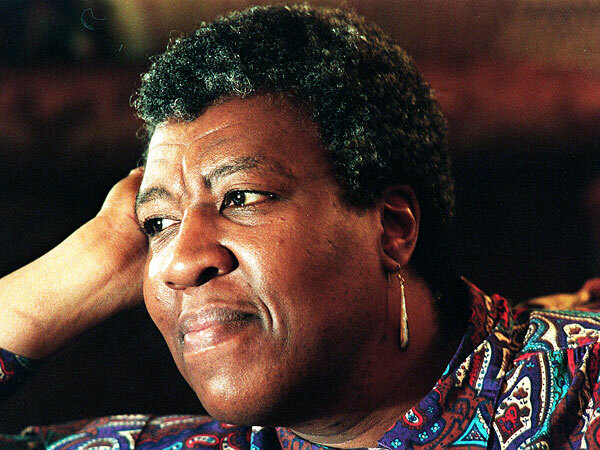 Many years ago I read Octavia Butler’s novel Kindred, about a time traveller who returns to the past to visit ancestors who were enslaved; because I was apparently born with an ear turned to the lingering whispers of my own ancestors, it affected me deeply. I have now finished listening to my second novel by Butler, The Parable of the Sower, and find it just as scarily perceptive as the earlier book. In fact, it’s incredible to me how she so accurately lays out our common future in the United States, if we don’t immediately and drastically change our mournfully delusional ways. She described herself and was described as a Science Fiction writer, a label that has often felt shallow to me, since it is these writers who explore some of the most vital truths of humanity’s plight. To the very last detail, it seems, Butler has envisioned life in the USA (specifically California –from L.A. to Humboldt County – where the novel is set) in 2024 to about 2027, little more than a decade hence. It is a vision not for the weak of spirit. The Parable of the Sower can be read as a survivalist manual, which makes it especially timely for those with their ears turned, if not toward ancestors, then to the wind. You know, the hard wind that’s bound to accompany the hard rain that’s gonna fall.